Within every ecosystem there is a food web, a term that refers to the natural system in which organisms feed on each other in order to survive. An organism’s place within that web is called a trophic level. Generally speaking, there are four basic trophic levels in every ecosystem: primary producers, primary consumers, secondary consumers and tertiary consumers. 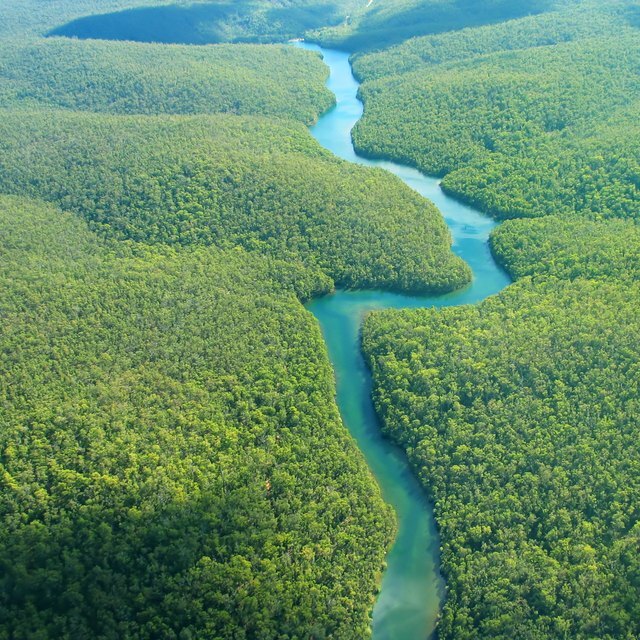 Rainforests are ecosystems that have developed over millions of years. The two main types of rainforests are tropical and temperate. Both share similar characteristics such as dense vegetation and large amounts of rainfall, but the food web of each is comprised of different inhabitants. 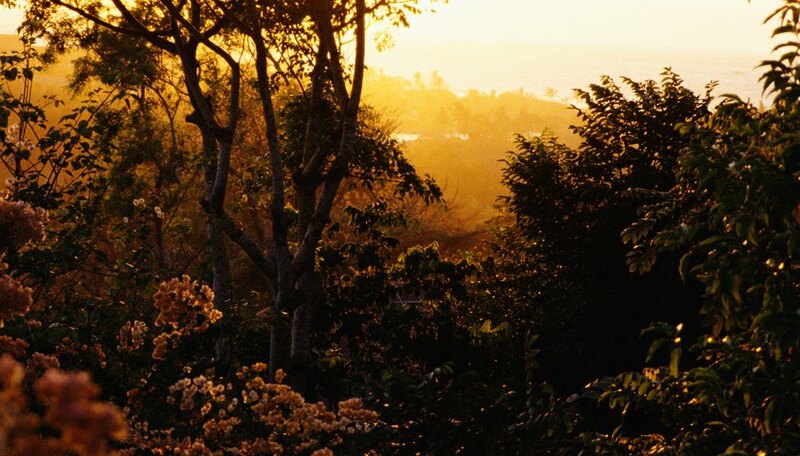 These forests are located in hot, humid regions near the equator. The summer growing season lasts year round and annual rainfall can reach up to 400 inches. The tallest trees tower above the forest at nearly 240 feet, though most grow to approximately 100 feet and create a dense, leafy canopy. Smaller trees and bushes dwell in the shade beneath the canopy, but most of the forest floor is free of shrubbery. The soil in tropical rainforests is infertile because nutrients are quickly replenished back into the food web. Depending on the location of the rainforest, the primary producer trophic level usually consists of ferns, bamboo, moss, palm trees and other vegetation. Primary consumers are the herbivores that eat the producers. Examples include insects, spiders, fish, parrots and small rodents. Secondary consumers, such as bats, amphibians, some reptiles and predator insects eat the small herbivores. The tertiary consumers are at the top of the food web and include snakes and carnivorous mammals such as jaguars. These forests receive around 100 inches of rainfall per year and are located near coastlines. They are cooler than tropical rainforests and experience all four seasons. Massive coniferous trees can grow up to 280 feet. Mushrooms, mosses, conifer needles and various grasses are scattered throughout the forest floor. Unlike their tropical counterparts, temperate rainforests have rich, fertile soil because dead organic matter takes longer to decompose in a cooler climate. Primary producers in temperate rainforests include low lying plants such as mushrooms and mosses as well as a large variety of trees. Douglas firs, cedars, redwoods and spruces are all common species. Some of the primary consumers are similar to those in the tropical forests – fish, birds, insects, and small rodents – but also include large herbivorous mammals like deer and elk. The secondary consumers include amphibians, raccoons, weasels and large insects. Carnivorous mammals such as wolves and bears make up the tertiary trophic level. Datko, Alison. "The Trophic Levels in Rain Forests." Sciencing, https://sciencing.com/trophic-levels-rain-forests-8732158.html. 24 April 2017. What Types of Trees Grow in the Jungle?